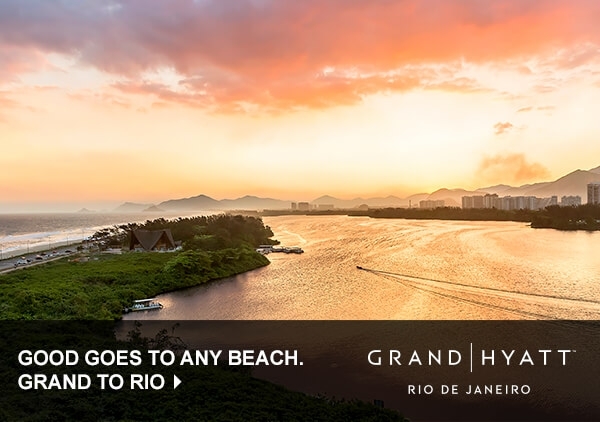 Rio's main international airport is a short 30-minute drive from Grand Hyatt Rio de Janeiro. 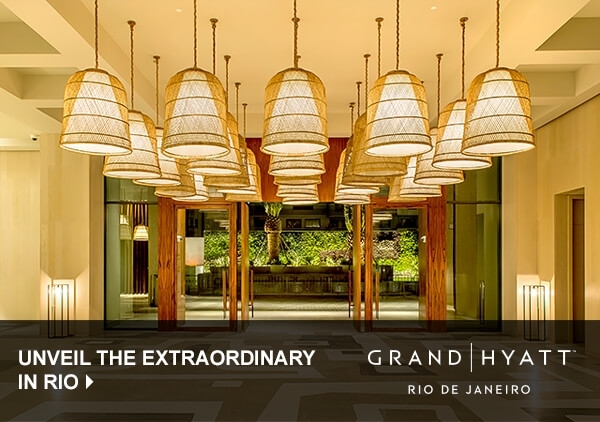 A calming atmosphere greets guests upon arrival at Grand Hyatt Rio de Janeiro. After all, Yabu Pushelberg was responsible for designing the hotel's interiors. Airy, calming and comfortable, 436 guest rooms and suites await discovery - all sporting balconies with views of the Atlantic Ocean or Marapendi Lagoon, and large bathrooms with deep soaking tubs. While the allure of exploring outside is hard to resist, guests who decide to explore a little closer to home will find themselves richly rewarded. Three signature restaurants can be found at the hotel, each providing a mix of local and international cuisine in a setting that evokes a casual, natural feel. 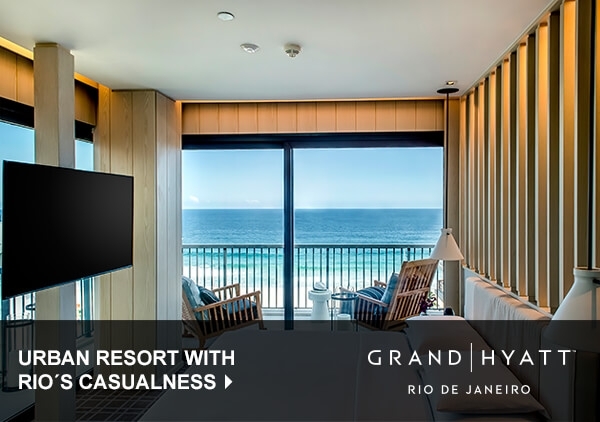 Barra da Tijuca is one of Rio's booming business districts, and Grand Hyatt Rio offers business facilities to rival any other in the city. Several elegant meeting and event spaces are available for rent, while a state-of-the-art business center is on hand to ensure business visitors stay connected. Whether one is in town for business or pleasure, The Spa provides nine private treatment rooms and an array of rejuvenating treatment options to sooth weary visitors. If that's a little too languid, a fully-equipped gym and yoga studio should provide the solution. 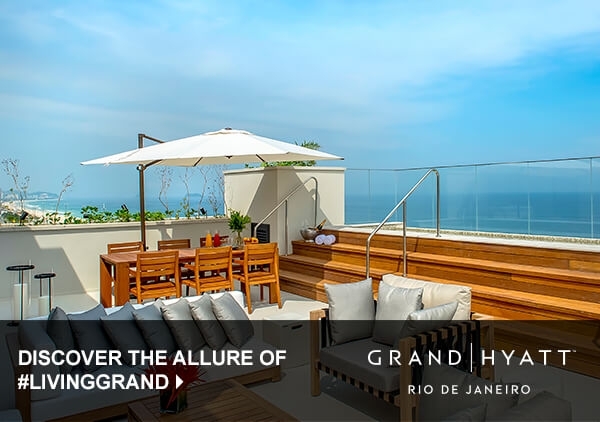 Send an availability request with your requested dates to the Grand Hyatt Rio de Janeiro.